Looking for an enjoyable and educational way to spend time with your kids? Tired of thinking, “There’s nothing to do today!”? Yes, we can meet friends, go to the park, watch cartoons... The ideas usually stop here! So, here we are with more than a million ideas to remind you that there really is something to do with your kids today! 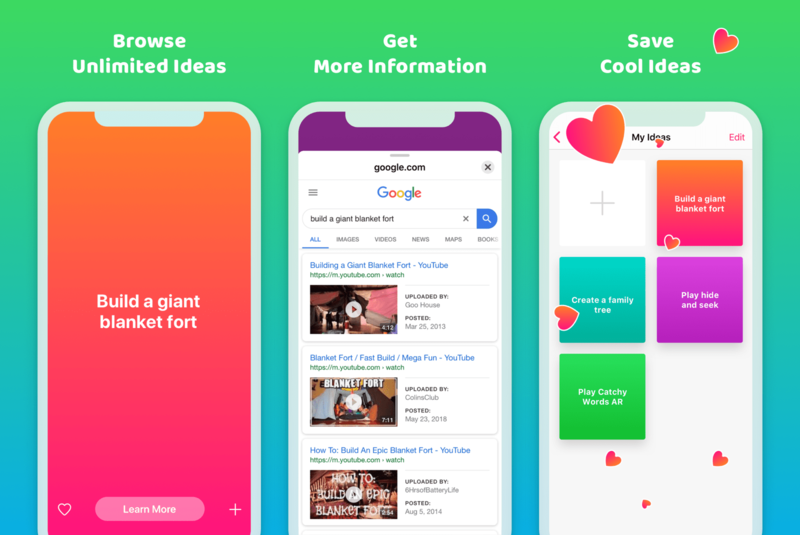 Launch the app, browse unlimited random ideas, like them, and get moving. We have plenty of cool ideas that require minimum effort. Made with ♥ by Gleb Revkov & Vladislav Simanovich & Eugene Goncharuk & Dmitry Ivanov.